Biteroi provide no information on their website about who owns or runs the business. The Biteroi website domain (“biteroi.com”) was privately registered on March 30th, 2018. Biteroi has no retailable products or services, with affiliates only able to market Biteroi affiliate membership itself. Biteroi affiliates invest funds on the promise of a “3% to 3.83% per day” ROI. Biteroi pay referral commissions on invested funds via a unilevel compensation structure. Biteroi affiliate membership is free, however free affiliates only earn referral commissions. Full participation in the Biteroi income opportunity requires a minimum $25 investment. Biteroi claim to generate ROI revenue through cryptocurrency trading. Biteroi LTD is an investment company which trading cryptocurrency. The investment portfolio is managed by our team of skilled experts who have been working on the cryptocurrency exchange market for more than 3 years. No evidence of any cryptocurrency trading is provided. 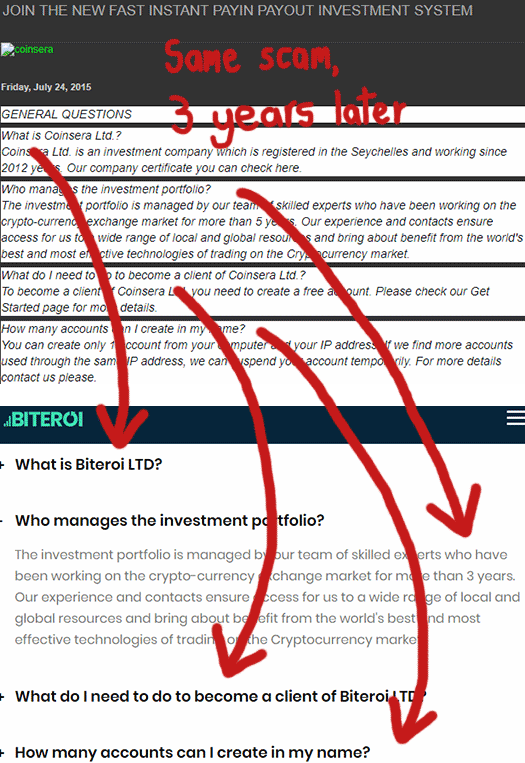 The copy that appears on the Biteroi website is mostly copy and pasted and appears on the websites of similar schemes. 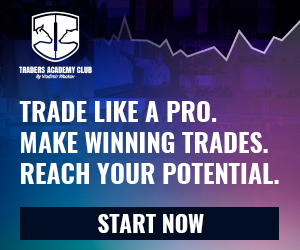 These scams take little effort to set up and typically promise ridiculous ROIs through cryptocurrency trading or mining. It is likely the same scammer or a group of scammers are behind them. In the end Ponzi schemes like Biteroi and Coinsera play out the same. Unless you’re running the scam or get in early and convince others to invest, you’re going to lose your money.